Clark Pest Control respects each individual's right to personal privacy. To protect your privacy, we provide this notice explaining our online information practices. We will collect and use information through our website only in the ways disclosed in this statement. This statement applies solely to information collected at Clark Pest Control's website. Clark Pest Control collects personal information through our website for online job applications, service scheduling and to help customers set up online accounts, including name, service address, email address and phone numbers. We also collect credit card information through our secure BillPay site from customers who wish to pay their bills online. The credit card information that we collect is securely transferred and stored (when necessary) according to the standards set forth and monitored by MasterCard® and Visa®. We may also collect names and addresses which our users divulge about other people in order to obtain referrals. Clark Pest Control does not actively market to children, and we never knowingly ask a child under 13 to divulge personal information. 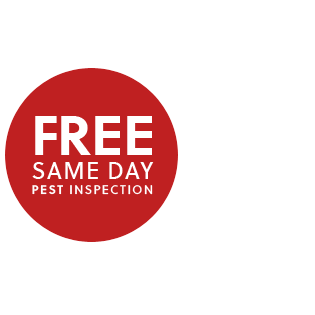 The information collected by Clark Pest Control will be used for providing information or services that are directly requested by the customer, developing or improving our services and products or improving the content and features on this website. We do not rent, trade or sell any information we collect through our website to third parties. We will not supplement information collected at our website with data from other sources (such as credit history, to authorize payments). While we cannot guarantee the absolute security of information we collect, any personal information you provide is stored in a secure location, is accessible only by designated staff and will only be used by us only as set forth in this policy. We offer links to other websites. Please note: When you click on links to other websites, we encourage you to read their privacy policies. Their standards may differ from ours. We disclaim any responsibility or liability for information collection practices or privacy policies of these other websites.